"Vena Cava", "Contort Yourself", "Din Daa Daa", "Bustin' Out"... several classic bangers on this one! Not a bad track actually. Highlights: Peech Boys. Loose Joints, Edwin Birdsong. Interesting and useful: James White (good Mix! ), and John Robie. Unfortunately the fotos on the sleeve (front and back) do not have much to do with the musical content and are a bit misleading (Klaus Nomi, and some bleeding wrestling girl, well...). 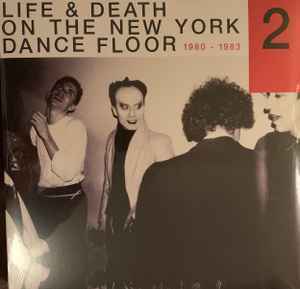 Instead of Quango Quango, Georg Kranz and Material there could have been more important and more useful New Yorican underground dance tracks from that time. A quite personal review, I admit.